The rice flour from Alce Nero is obtained by processing rice grown organically in the valleys between Piedmont and Lombardy. 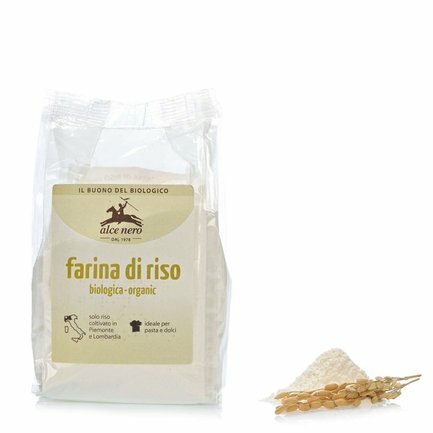 It is ideal for making pasta, desserts and minestrones. Try it also when frying, when coating fish or vegetables with flour, as well as for preparing the batter. The fried food will remain dry and crunchy, absorbs less oil and becomes easier to digest. 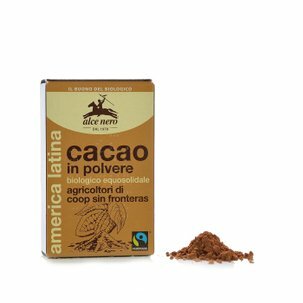 For the past 30 years, the Alce Nero cooperative has been committed to organic farming. This decision, which was originally a commitment and a new ideal and tangible way of living in harmony with nature and the environment, gradually developed over the years and started to include also a commitment to using fair trade produce wherever possible. A line of healthy, good and fair products ranging from fruit juices to pasta, cereals and sauces, all waiting to be discovered and tasted.